My grandmother Payne's house had small pipes leading to most of the overhead lighting fixtures. The first use of these fixtures were used to pump acetylene to lights. This was a precursor to the early Delco Power Plant that was installed somewhere around 1918 as my Uncle explains below. Water spilled into small copper/nickel cups that rotated on a wheel dumping water from the spring into a larger container containing calcium carbide pellets. This explaination of how the calcium carbide was mixed was told me by my father, as my mother used the small copper/nickel cups from the operation as flower planter pots. They were linked together, much like the gondolas on a Ferris wheel and rotated by dripping water that filled them. Below is Wikipedia's explanation of how this worked. "Carbide lighting was used in rural and urban areas of the United States which were not served by electrification. Its use began shortly after 1900 and continued past 1950. Calcium carbide pellets were placed in a container outside the home, with water piped to the container and allowed to drip on the pellets releasing acetylene. This gas was piped to lighting fixtures inside the house, where it was burned, creating a very bright flame. Carbide lighting was inexpensive but was prone to gas leaks and explosions." Also of note is the explanations of how calcium carbide was first used in urban lighting in the Google Books 1908 Motor Age, Volume 14 search for "calcium carbide". The old "Delco House" where the Delco Power Plant set and was probably the home of the Carbide lighting system. Back to the time of our GREAT Grandfathers, or maybe in my case just my Grandfather, since I am a generation behind most of you. My grandfather, L.G. Payne's, old brick "Delco House" still stands in Lone Mountain, just before you reach the curve. My cousins in Mississippi have the original Delco plant that sat in the house for many years. It powered my grandfather's house and the old Payne Brother's Store and probably several other buildings in the community. My father's twin brother was L.G. Payne, Jr. who upon finishing his studies at Lincoln Memorial University in Harrogate obtained a job with the Tennessee Valley Authority in 1934 in Land Acquisition Office, Tazewell, TN, (pictures here). More from the memories of my Uncle L.G. Payne, Jr. 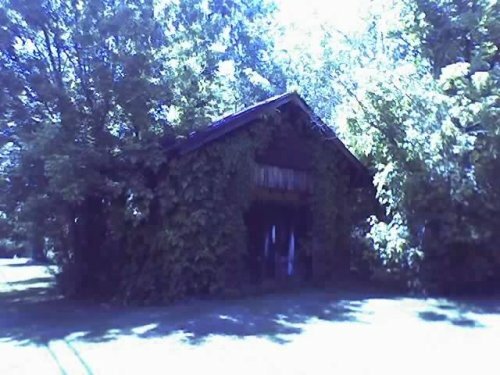 The little brick garage served as the Delco House for L.G. Payne and several other houses around the Lone Mountain community. An errie picture of this little house with my phone. The little explaination below from my Uncle L.G. Payne gives you an idea of how the house was set up. "Other farms, who had their own electricity, had a 32 volt Delco electric plant, which charged 16 glass encased, single cell wet batteries. They were very conservative with it's use, because the batteries had to be recharged when they were drawn down to half their capacity. In time the batteries had to be rebuilt also, which was quite expensive. The light bulbs were expensive 32 volt bulbs. And, if they had any motors, they also had to be 32 volt D. C."
The advertisements read "Delco-Light Sells Best at Night" - Any of my generation who remember the plant, it looked exactly like the one below. "Receipt for Wire and Poles from the Tazewell Power and Light Co. from Old Tazewell to New Tazewell", dated Feb. 1, 1915. I know where the company was located and it sat very near where the present day Frostee Freeze is. It powered a theater owned and operated by my grandfather, Joseph Phillips. And from all indication, primarily from someone who was there to see the first electric powered movie, Margaret Hardin Caywood, who said up until the power company movies were seen with a projector with light supplied only by candle power. I sort of doubt that but that is the way she remembered it. Granddad brought a production crew to the area and set up a small production studio beside the house he built. 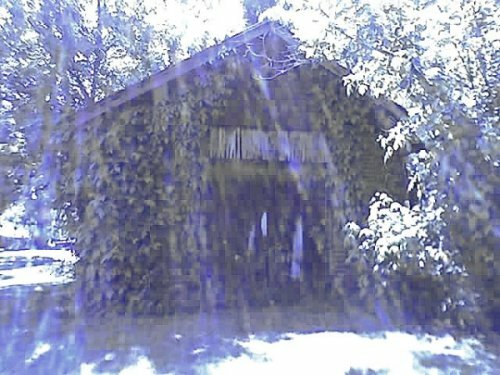 He filmed several events, one being the Big Barren Creek Flood in 1916 and another was a 1916 May Day or some other event at the Tazewell Methodist Church. That was the only film that survived, others have disappeared from my parents home years ago. See the links to follow for more about the "Tazewell Light and Power Co."
ELECTRICAL WORLD, Volume 67, Part 2 - April 1, 1916, New Tazewell, Tenn – A Company is being organized, with a capital stock of $25,000 to remove the electric light and power plant from Tazewell to New Tazewell, to erect a flour mill with a daily capacity of 200 bbl. and to install a waterworks system in New Tazewell. J.W. Rose and Dr. M.B. Carr of Tazewell are interested in the project. 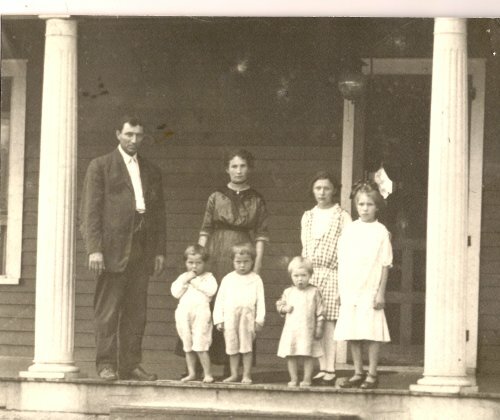 * Mortimer "Monta" B. CARR was born 1870 in Claiborne Co., Tennessee, and died 10 FEB 1937 in Claiborne Co., Tennessee. He married Barbara REYNOLDS. ELECTRICAL REVIEW, Volume 68, - April 22, 1916, New Tazewell, Tenn – J.W. Rose and M.B. Carr of Tazewell, have under consideration the removal of the lighting and power company’s plant to New Tazewell. ELECTRICAL REVIEW, Volume 76, - May 29, 1920, New Tazewell Tenn. - The Claiborne County Light & Power Co., recently organized with $25,000 has acquired the plant of the Tazewell Light & Power Co. and is arranging plans for construction of a new transmission system to connect with the system of the Kentucky Utility Co., Louisville, Ky., at Cumberland Gap. J.P. Ritchie (John Paris Ritchie), New Tazewell, Tennessee is the President of the company. During the 1930’s, rural Americans had been trying with every ounce of strength and ingenuity at their command to get electric service. Naturally the first place they turned was to the privately owned power companies. These companies reply to their pleas was, “NO”. They could not break even, much less make a profit from building long liens to a few houses whose occupants would use very little electric power. As a result of this, the Rural Electrification Administration was established in 1936. This agency was empowered to make loans to qualified entities for the purpose of building electric distribution systems. The rural people of Southwest Virginia and East Tennessee had heard about this “REA” in far-off Washington and began investigating the possibilities of using this vehicle to get electric service for themselves. In 1938, they got together and formed Powell Valley Electric Cooperative. The Cooperative was authorized to borrow money from R.E.A., build the lines and make repayments from the money collected from the electric bills. The first loan, was for $150,000 and served 340 members in Lee, Scott and Wise Counties in Virginia. The project was energized in 1939. 2.Kentucky Utilities Company v. Tennessee Valley Authority, 237 F. Supp. 502 (E.D.Tenn.N.D. 1964). Kentucky Utility Co., who began serving the two Tazewell's by contract with the Claiborne Power & Light Company around 1919-1920 served the two cities of Tazewell and New Tazewell thru the next several decades. With Tennessee Valley Authority becoming a major power source after the construction of Norris Dam in 1933, it became a major source of power to East Tennessee through loans from the Rural Electrification Administration. REA crews traveled through the American countryside, bringing teams of electricians along with them. 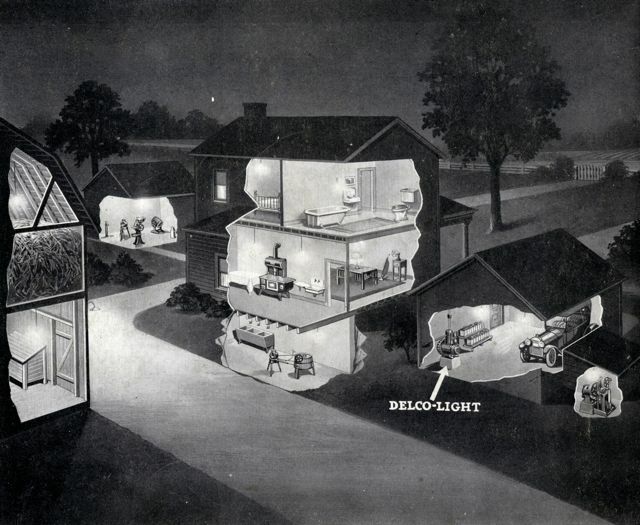 The electricians added wiring to houses and barns to utilize the newly available power provided by the line crews. TVA built substations that supplied electricity to these rural areas. When Congress passed a bill limiting TVA's service region in March 1959 (From TVA's Website see: The Great Compromise : "a deal hammered out between free-enterprise Republicans and public-power Democrats gave birth to TVA as we know it") the proponents of private power got the concessions they wanted. Georgia Representative Carl Vinson secured passage of an amendment backed by the Georgia Power Company limiting TVA's power sales to the area it had served on July 1, 1957. Therefore it was important to the Mayor's of the Tazewell's that TVA, who supplied power through REA to Powell Valley Electric Cooperative, with the lower rates at that time, to become the Tazewell's primary source of power. Kentucky Utility claimed that they were the primary source on July 1, 1957 to the Tazwell's. This can be found in the 1963 Claiborne Progress from a meeting between the Mayor's of the two towns and representatives from Kentucky Utilities and Powell Valley Electric. From that point on the argument began, and eventually lead to a Supreme Court Decision, involving the Mayor's of Tazewell, New Tazewell and argued by Attorney William R. Stanifer, who won the battle in a decision handed down by the U.S. Supreme Court on January 16, 1968. This is part of an appeal filed by Kentucky Utilities in the Tennessee Court of Appeals for the Sixth Circuit, March 27th, 1967 on a previous decision referred to later on this page. I put this first to connect the fact that the Tazewell Light and Power Company became part of the Claiborne County Light & Power Company that connected to Kentucky Utility lines sometime in 1919-1920.
" KU's activities began as early as 1919 (ELECTRICAL REVIEW, Volume 76)and from 1920 it has been serving customers in Tazewell and New Tazewell, which localities became incorporated as cities of Claiborne County in 1954. KU has a non-exclusive franchise to provide electricity to customers in all of Claiborne County. The fixed corporate limits of Tazewell and New Tazewell define the area in which KU on July 1, 1957, was the primary source of the electric power consumed therein. Beginning in 1961 and 1962, citizens and officials of Tazewell and New Tazewell were attracted to the apparently lower rates of PVA (PVEC) which is a distributor of TVA power in adjacent areas and with the few customers in the Tazewell's above referred to. After meetings between representatives of these cities and of Claiborne County with TVA and PVA (PVEC) officials, the two towns decided to set up municipal electric systems which would purchase power from PVA at wholesale rates and re-distribute it. The cities' offer to buy the facilities of KU was refused. Activity toward establishing a municipal system then began, but up to the start of this lawsuit this activity consisted of disconnecting KU's line to several of its consumers and reconnecting them to PVA (PVEC)." Kentucky Utility on 15 Oct 1964 filed suit against Tennessee Valley Authority on issues of common law conspiracy. "seeking to enjoin TVA from selling or delivering electric power to Powell Valley, a distributor of TVA power, and enjoin Powell Valley from purchasing or receiving from TVA electric power for resale in either of the municipalities of Tazewell, Tennessee or New Tazewell, Tennessee, other than to customers and locations receiving electric service from Powell Valley on October 30, 1963. Relief is also sought against the Mayors of the two towns in their official capacities to prevent them from interfering with KU customer contracts. KU further contends that there was a common law conspiracy of the defendants to interfere with the contractual relations between it and its customers in the two municipalities by inducing such customers to terminate their contracts with KU in violation of the 1959 TVA Act. " TVA contends that plaintiff has no standing to maintain the action as the complaint presents no justiciable controversy. That KU does not have an exclusive franchise to furnish electric service in the municipalities and has no common law or statutory right to be free from competition of TVA and its distributors. That the 1959 TVA Act does not expressly confer upon KU the right to maintain an action based upon alleged violations of the Act by TVA and, in the absence of such provision KU is without standing to bring the action. TVA contends further that the findings of its Board that the two municipalities are within the TVA service area is not subject to judicial review if the finding was made in good faith and supported by substantial evidence and that the Board's action met these requirements. TVA also contends that it has made no contract since the effective date of the Act which would have the effect of changing the relationship of TVA or its distributors with respect to the source of power supply in the two municipalities. TVA says that it and its distributors were the primary source of power supply in the two Tazewell's on July 1, 1957 within the meaning of the 1959 TVA Act. TVA denies that it unlawfully induced or combined to induce customers of KU to terminate, breach or sever alleged contracts with KU for electric service. TVA asserts that the citizens of Tazewell and New Tazewell, Tennessee have a right to obtain electric service from whomever they please and that KU has no right to be free from lawful competition. The two Mayors, and the municipalities which they represent, adopted the contentions made by TVA and in addition they contend that KU is serving customers in the area of the municipalities at the sufferance of the municipalities as KU has neither an exclusive franchise nor any franchise to serve the municipalities. They assert that the municipalities have the right under the Tennessee law to establish their own electric systems and that the citizens acting through their elected officers have the right to choose between the TVA current and the current furnished by private institutions. Joe Phillips was also Road Superintendent in Tazewell in 1920. Click on image for entire page from 1920 Claiborne County Census.